But it’s different in Canada, you say? Yes…you are right. It is. Well…sort of. Here’s a Google satellite view of Swan Hills, Alberta. Click on the image to see it on Google Maps and zoom in. 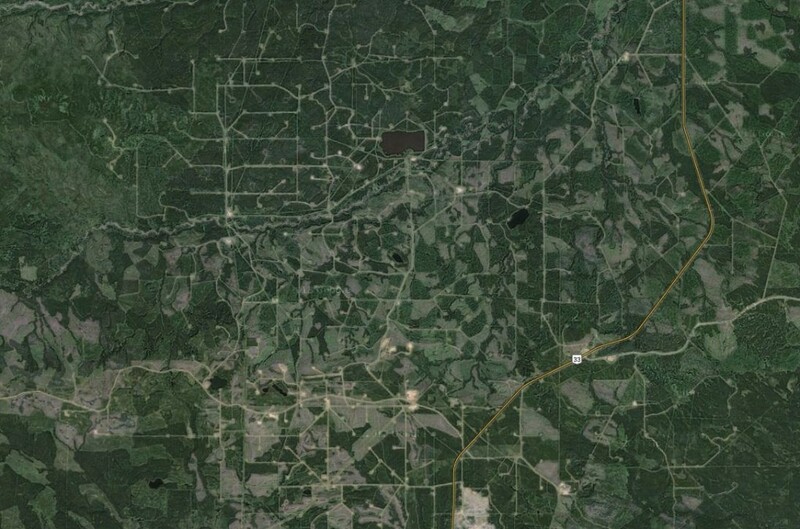 Now that you know what you are looking for (that telltale network of roads, pipelines and rectangular well pads) follow Route 32 south to Whitecourt. Then follow the Athabasca River west and south. Then flip on over to Grand Prairie and follow the Wapiti River southwest. or follow Route 4 south. Using Google technology, Skytruth has time-lapsed the Swan Hills area to show the human impacts of logging and fracking over a decade. The Canadian Association of Petroleum Producers (CAPP) recently claimed on its website that oil sands companies will “return the land including reclaiming tailings ponds–to a sustainable landscape that is equal to or better than how we found it.” IT takes centuries for a forest to return. They’ll restore all this, and make it better? So far, only 104 hectares have been certified as reclaimed. Will it be any different elsewhere? What do you think New Brunswick will look like ten years from now? Timelapse – Canada Logging and Fracking from SkyTruth on Vimeo.